NAYPYITAW: Myanmar’s Supreme Court was scheduled on Tuesday to hear the appeal of two Reuters journalists imprisoned for breaking a colonial-era official secrets law, in a case that has raised questions about Myanmar’s progress towards democracy. Reporters Wa Lone and Kyaw Soe Oo have spent more than 15 months in detention since they were arrested in Dec 2017, while investigating a massacre of Rohingya Muslim civilians involving Myanmar soldiers. Both remain separated from their young daughters. The wife of 32-year-old Wa Lone gave birth to their first child last year while Wa Lone was behind bars. Kyaw Soe Oo celebrated his 29th birthday in Yangon’s Insein jail this month. 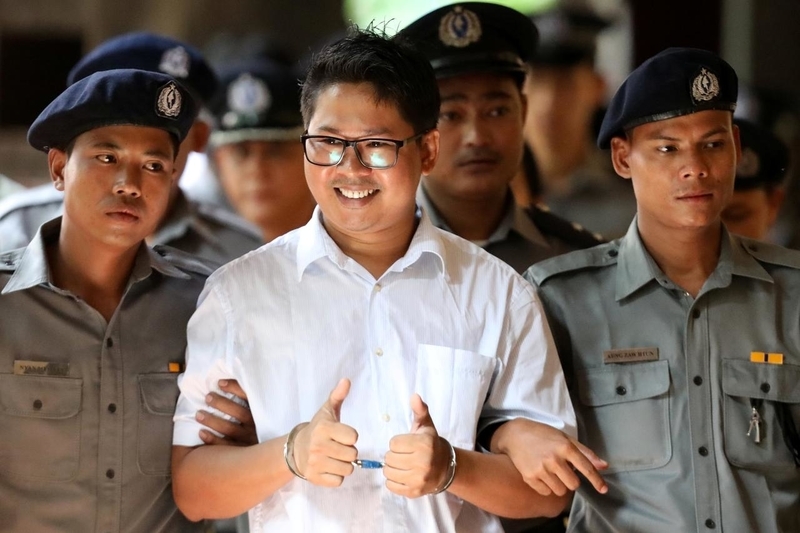 “Myanmar’s Supreme Court has the opportunity to correct the serious miscarriage of justice inflicted on Wa Lone and Kyaw Soe Oo for the last 15 months,” Reuters editor-in-chief Stephen J Adler said in a statement. The appeal, submitted last month, cited lack of proof of a crime and evidence that the pair were set up by police. During eight months of hearings, Wa Lone and Kyaw Soe Oo testified that two policemen they had not met before handed them papers rolled up in a newspaper during a meeting at a Yangon restaurant on Dec 12. A police captain testified that, prior to the restaurant meeting, a senior officer had ordered subordinates to plant documents on Wa Lone to “trap” the reporter. Before their arrest, Wa Lone and Kyaw Soe Oo had been working on a Reuters investigation into the killing of 10 Rohingya Muslim men and boys by security forces and Buddhist civilians in western Myanmar’s Rakhine State during an army crackdown that began in Aug 2017.